The Management & Professional Liability Insurance Marketplace remains extremely competitive. Rates are at an historic low with coverage terms being as broad as ever. This is due to a number of factors, mainly the influx of niche insurance carriers into the space. With over 20+ Insurance markets willing to underwrite to financial services risks, the market remains strong. As an example, pre-2014, the international marketplace had very little if any appetite to underwrite US Based Asset Managers. Over the past few years, due to contraction in other lines of business, the international insurance markets, namely Lloyd’s of London, have become quite aggressive in underwriting these risks. This has led the US market to follow, albeit hesitantly. As such, major US carriers have come around and begun to offer very competitive coverage terms at historically low prices. The market is ripe for a shift and we should all be cognizant of what it would take to move into a harder cycle. We have already seen attempts by carriers to push renewal rates a bit higher. So renewal rates which have been flat to -5% are now flat to 5% increase at renewal assuming no material changes in exposure. M&A Activity is certainly something to keep a close eye on. We’ve certainly seen our fair share of acquisitions on the distribution side with insurance agencies and brokers being purchased at a record pace. Should insurance company M&A activity follow suit, such decrease in capacity could be cause for rate increases. Other contributing factors shall include but aren't limited to systemic losses of any kind and increased claims activity stemming from cyber events (covered under D&O) or other global catastrophes which impact loss ratios for multi-line insurance companies. And last but certainly not least, a downturn in the investment markets could negatively impact insurance company investment returns and shift us back into a hard market cycle. From a global catastrophe and loss perspective, according to figures released on January 4th by Munich Re, inflation-adjusted insured catastrophe losses reached an all-time high of $135bn in 2017. Total losses (including uninsured ones) reached $330bn, second only to losses of $354bn in 2011. Check out Economist Article describing 2017 as being a record year for losses. Contact Us today to discuss the latest market trends. Louis D’Agostino is a dynamic senior insurance professional with nearly 17 years of experience in the financial services industry. He is presently serving as the President and Financial Services Practice Leader of Iron Cove Partners, LLC. He is dedicated to business and product development and large account placement, resulting in a proven track record of successful negotiation of even the most challenging of claims such as Madoff, investor litigation, and SEC/DOJ enforcement. As part of his work at Iron Cove Partners, Mr. D’Agostino’s expertise has been called upon by a variety of industry trade groups. 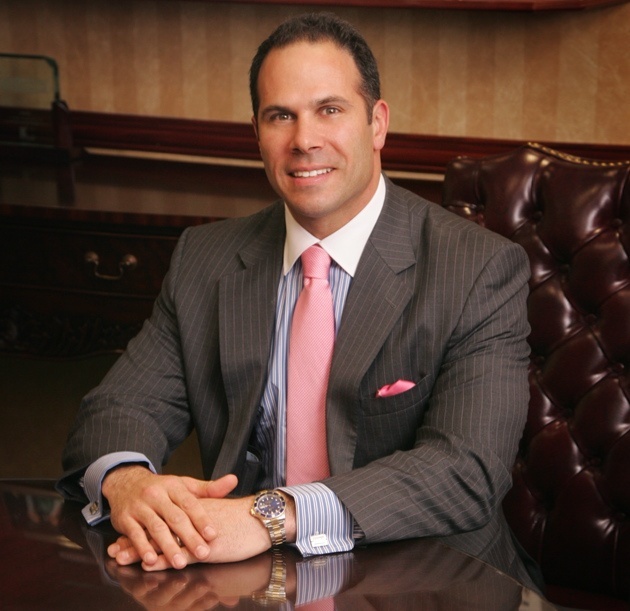 Prior to accepting his role with Iron Cove Partners, LLC, Mr. D’Agostino spent 10 years working for Frank Crystal & Co., a NYC-based insurance agency founded in 1933. His final role with the organization was as a Director in the Financial Services Department where he was able to perfect his negotiation skills. He successfully placed Management and Professional Liability Insurance on behalf of numerous financial institutions including hedge and private equity funds, registered investment advisors, securities dealers, and consultants. With a diverse battery of skills and experience, Mr. D’Agostino has managed accounts for commercial businesses including real estate, not-for-profits, manufacturing, retail, and tech firms.